In January 2001, the Co-operative Commission identified co-operative and social performance as being key contributors to the future success of the Co-operative sector. Its virtuous circle model reminded the movement that co-operative enterprises are in business to fulfil their co-operative purpose; by achieving commercial success they are able to invest in their co-operative and social goals, creating a co-operative advantage. Co-operative, Environmental and Social Performance Indicators (CESPIs) were developed by Co-operatives UK (and updated in 2005) to help co-operatives determine how they are living their co-operative principles and delivering on their social purpose. A basket of mostly quantitative indicators intended to capture the co-operative, environmental and social performance of a co-operative, based on the core values and principles of co-operation. 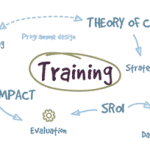 Participation of employees and members in training and education. Staff injury and absentee rates. Staff profile – gender and ethnicity. Consideration of ethical issues in procurement and investment decisions. Investment in community and co-operative initiatives. Net carbon dioxide emissions arising from operations. The indicators are provided to co-operatives for self-assessment and they are asked to report their findings back to Co-operatives UK. There is no brand or mark associated with the indicators. The indicators are a first step to ensuring that a co-operative is living up to its co-operative values and principles; and is able to demonstrate this to a range of stakeholders. CESPIs are relatively straightforward and standardised for ease of use and can be compared across different organisations. They can be used as part of the social accounting process or as a stand-alone tool. They have the potential to demonstrate to customers the benefits of co-operatives; one indicator specifically focuses on client satisfaction. Ethically motivated funders may find them useful in making positive funding decisions. The indicators may be a first step in demonstrating social added value of co-operatives or other social enterprises in procurement decisions. While the use of standardised, easily represented information is a benefit, it can also be a potential limitation. The indicators mostly focus on measuring quantitative, numeric information that needs to be interpreted in order to be used for improvement or for proving the value of the organisation to others. The indicators do not give a full picture of all that the co-operative does, and may not be able to help answer the most pressing questions or identify priority areas for the organisation. The indicators are aimed primarily at co-operatives, but any organisation that aspires to co-operative values and principles may find them useful. They are intended for use by all sizes of organisations, although they may require further development and refinement to achieve this degree of universality. CESPIs can be used by anyone within the organisation who has access to the records and information needed for the particular indicator. It is recommended that the organisation make a commitment to using the indicators to inform ongoing management decisions and improvement, in order to make the process of measuring them most useful. No specific skills or proficiencies are required. The indicators come with guidance on how each is measured. Staff time to implement the use of the indicators should be at the lower end of all of the tools. This has been confirmed by the experience of implementation. The CESPI guidance document is free to download from the Co-operatives UK website. While outside consultants are not considered necessary, some co-operatives may choose to use them. Co-operatives are using the indicators to report to Co-operatives UK and their members annually. 1 Some of the indicators, e.g. those measuring environmental impact, are widely-used standard measures.